As-Salam Alaikum, I am an Egyptian, and this is the first time I visit your website. I am confused about some previous information, and when I read your answers to some of the questions, more confusions surfaced, so will you have patience and hear them out, thank you. This statement was mentioned in the answer of Sheikh Abu Al-Rashtah regarding the Hadith of “my companions are like stars”. To my knowledge it is the Muhadiths (scholars of Hadiths) who classify a Hadith. 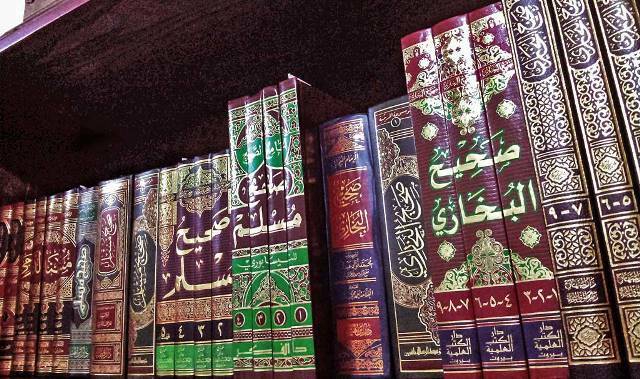 My question is: Is it possible that a Hadith can be classified as Sahih by the Fiqh but as Mawdoo’ (subject) for example according to the Muhadith? It seems that you were confused when you read our answer regarding the Hadith of “my companions are like stars” and you thought that the Muhadiths can classify a Hadith as weak but the Faqihs can classify it as Hassan, but this is not the case, if the Muhadiths agree that a Hadith is weak, then the Faqihs do not classify it as Hassan. My brother, the issue is regarding a weak Hadith that the scholars of Hadith disputed in its classification as weak, some would consider it as weak and cannot be used as evidence, while others approve it as evidence. This is because some narrators are considered as trustworthy by some Muhadiths, but are considered as not trustworthy by others, or that the narrators are considered as unknown by some Muhadiths, but as well-known by others. Also some Hadiths are taken as Sahih from a chain but as not Sahih from a different chain, The Muhadith who finds an unknown narrator in the chain of a Hadiths will consider that Hadith as weak and not fit to refer to as an evidence. But on the other hand if this unknown narrator’s identity is revealed and is seen to be a trustworthy narrator, the Hadith will be fit to use as evidence. If a Muhadith sees that it is was not possible for one of the narrators to hear the Hadith from the previous narrators, then the Hadith will be classified as weak because there is an interruption in the chain, but if a Muhadith can prove that there is no interruption in the chain, and that the narrations reached all the narrators then the Hadith is considered Hassan and is used as evidence. Tirmithi related that this Hadith is correct (Sahih) by Bukhari. Hakam Ibn Abd Al-Bar spoke of its correctness due to the acceptance of this Hadith by the scholars. Ibn al-Munthir said it is Sahih Hadith, and Ibn Al-Aseer said in Sharh Al-Musnad: This Hadith is Sahih and Mashoor, extracted by the Imams in their books, and they used it as evidence, and its narrators are trustworthy. As-Shafi’i said that in the chain of the narrators of this Hadith, there is an unknown narrator to him. Ibn Daqiq Al-Eid mentioned the ways why this Hadith is not used as evidence; this includes the lack of information regarding Saeed Ibn Salama, and Al-Mugheera Ibn Abi Barda who are mentioned in the chain of this Hadith, while these two narrators are known according to some Muhadiths. Abu Dawood said: Al-Mugheera is known, this is confirmed by Nasa’i. Al-Hafith said: therefore from this it is incorrect someone claims that he is not identified and unknown. As for Saeed Ibn Salama, he followed Safwan Ibn Salim’s narration regarding Al-Julah Ibn Katheer. This Hadith is Sahih by Bukhari, but was not accepted by a group including At-Tahawi, At-Tabari, Ibn Hazm, and Abdul Haq, due to the presence of Zaid Ibn Ayash in its chain of narrators who is considered unknown. In the conclusion of the answer, he said that Ad-Darqitni said that he is a confirmed trustworthy (meaning Zaid Ibn Ayash), Al-Munthiri said: that two trustworthy narrators have narrated from him, and they were accepted by Malik who is known for his extreme criticism. – A type that is not used and is not strengthened by any followings and witnesses. – A type that is strengthened by any followings and witnesses, and is used by renowned Mujtahids and Faqihs. (- Not every weakness in a Hadith is removed when it comes from different chains, but this differs: the weakness that is not removed in such a way, due to the extent of the weakness and the end of the tyrant’s oppression and his resistance. This is like the weakness that originates because the narrator is accused of lying, or that the Hadith is odd… and there is weakness removable by that, such as it being originating from a weakness in the memorization of the narrator, while he is of the people of truth and Deen. If we see that the narration that he brings from another chain, then we know it is due to his memorization, and that his accuracy is not compromised. First: The Hadith that its narrators are not free of any unknown whose is not eligible, but he must not be unaware and full of mistakes, and must not be accused of lying about the Hadith, i.e. that he did not show deliberate lying about the Hadith or any other corrupt reason, and the Matn (text) of the Hadith also is known, through another similar narration or the same from different chain or chains, until it is linked to the following of the one who is following a similar narration, or with that which have a witness to, which is the narration of another similar Hadith, which clears it from being odd and strange…) End quote. Here you see that this Hadith is weak in origin is considered as Hassan if a similar Hadith from another chain or is linked to the a following or has a witnesses…etc. Abu Umar said: “This is a chain that is not accepted as evidence, because Al-Harith Bin Ghusain is unknown”. But Ibn Hazm knew him and said that he is Abu Wahab Athaqafi, and Bukhari also knew him and mentioned him in At-Tarikh Al-Kabeer, Al-Hafith Ibn Hajar Al-Asqalani followed him in Al-Amali Al-Mutlaqa, he said: Ibn Haban mentioned him as one of the trustworthy, so it cannot be that he is unknown. So it is a weak Hadith according to those who considered Al Harith Bin Ghusain as an unknown, as mentioned by Ibn Abdul Bir. But the Hadith is considered as fit to be used as evidence by those who knew Al Harith Bin Ghusain and considered him as trustworthy. Therefore the Muhadiths did not agree on the classification of this Hadith as weak, so if this Hadith is found among renowned Mujtahids and Faqihs, it will be fit to be used as evidence. Because there is no consensus that it is weak by the Scholars of Hadith, this is followed by the renowned Mujtahids and Faqihs, so it is used as evidence with reassurance. Muhammad Bin Ahmad Shams Al-A’ima As-Surkhasi (died 483 AH) who used it as an evidence in his book Al-Mabsoot regarding the subject of Judiciary. Abu Al-Abbas Shihab Ad-Deen known as Al-Qarafi (died 684 AH) in his book Az-Zakhira in his study of the Usul of Malik, also referred to by Abu Al Hassan Ali Bin Muhammad known as Al-Mawardi (died 450 AH) in his book Al-Hawi Al-Kabeer in his study of the Sahabah, Abu Muhammad Muwafaq ad-Deen known as Ibn Qudama Al-Maqdasi (died 620 AH) in his book Al-Mughni in the chapter: “The Sixth Chapter: The Reward of what was a Hunting Animal and the Similar Blessing”. As you can see the Hadith is used by renowned Mujtahids and Faqihs, this is why it is considered as Hassan. This is only for the issue related to Hadith that is disputed as weak by the Muhadiths not the Hadith that is agreed by all as weak. This latter one would not be considered if it was mentioned as weak in the books of the renowned Mujtahids or Faqihs, even if we assume that it is mentioned there for the sake of argument, it will still be weak, and I say “for the sake of argument” because the renowned Mujtahids or Faqihs do not use the weak Hadith that is agreed upon that it is weak. I hope that this subject is completely clear to you my dear brother.